"Do you have a boyfriend in Sagada?" "Why do you always go back to Sagada?" Frequent questions I always get every time I go back to Sagada, Mountain Province. My first time was in 2011. I lost count how many times I have visited this wonderful place. It became my happy place and still is. Though I am seeing changes as it is becoming commercialized for the past year. A part of me still wishes that it will not be too touristic. 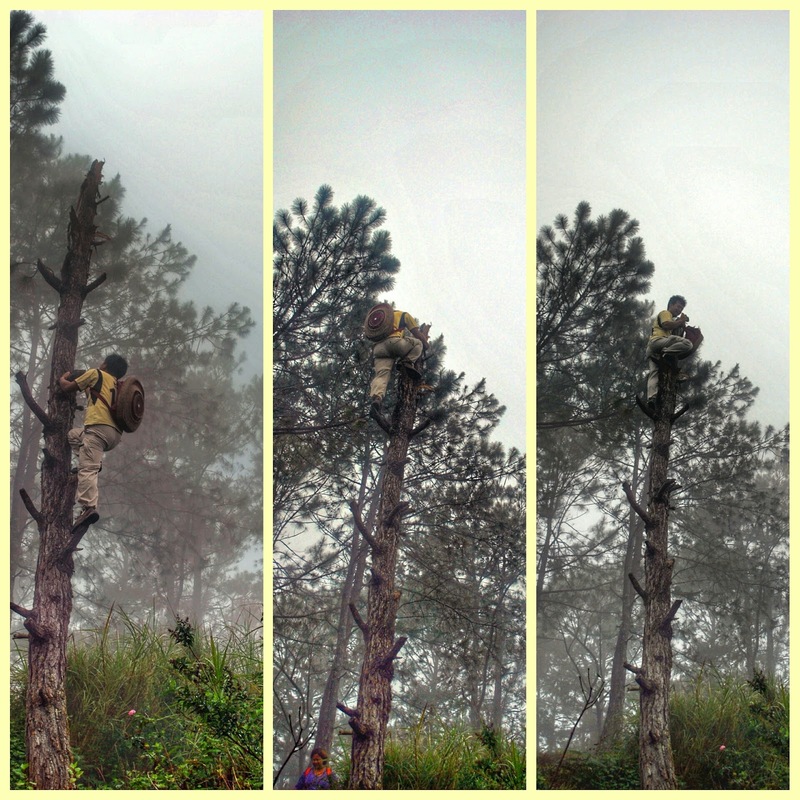 This post will always be updated as every time I go back to Sagada, there is always something new to discover. 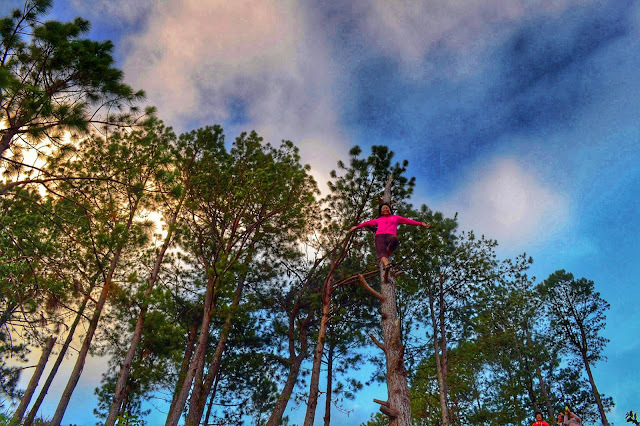 Every week, I will post an unforgettable experience and reasons why Sagada is my happy place. Hmmmm . . . let me count the ways. 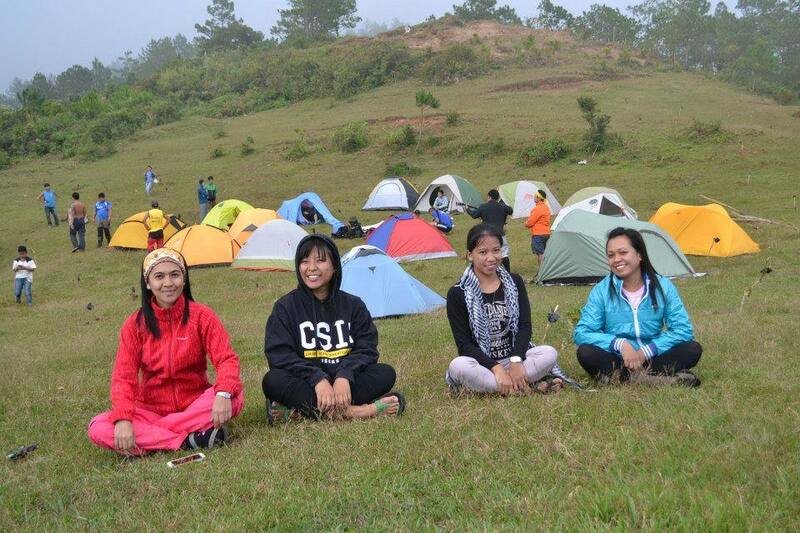 Sagada does not have that arc like other provinces has. I think it's better that way. In case they will have one, make sure they make it very unique. Must be very well represented of Sagada and not some telecom company advertising their tarpaulins welcoming the visitors. This photo was taken when our eyes saw this place while we were on the van. It looks rustic. It was cold day with drizzles. It looks old. It was just perfect. I thought it was one of those spots where people take photos. Sometimes you won't see it because it is covered by garbage or untrimmed grasses. Taken 2011, the first time I fell in love with the place. A good place to have a picnic, read a book or if you feel like getting away from the world. That is . . . if you are not with the large crowd of tourists on a weekend or holiday. Hmmm . . . sunset? Haven't witnessed a dramatic sunset yet in this place. Bird catching of migratory birds every September till November. This is part of their culture where they catch birds at night with an improvised net such as what I am holding in the photo. We went up in Mt. Ampacao and we saw lamp lights on different places up there where the young Igorot lads wait for birds to catch. After catching it, they would fry them. During the day, you'll see a number of bird enthusiasts do bird watching. Did I catch any? I got flies I think. I just kept swinging it. Too hard to see. Camp site is wide in Mt. Ampacao. There's water source but you need to walk a little to get water. Freezing cold in the night and early morning. It is not everyday that you will see the sea of clouds in Sagada or anywhere else. or in case it doesn't show up. One day, I saw this guy climb up the pine tree. He looked like a local because he climbed it like George of the Jungle. Then I found out he was a guide . . . I gave him the name Gareth of the Jungle. If he could do it, then why can't I? This pine tree sadly is no longer here. They cut it out 2014. As the locals (Igorots) would say that they are one of the exemptions of the Republic Act No. 8485, known as the Animal Welfare Act. Meaning they can kill dogs and allow to eat them as part of their indigenous rituals in some northern regions. Sagada is one of them. It's not everyday that you see this dish on their tables. I don't know if this will lessen the sadness/anger with you dog lovers. They don't kill their pets. You'll see dogs walking along the roads of Sagada. Some even look like they have breeds, which they do. The locals said they prefer the street dogs "askals" rather than those with breeds. I am an adventurous person but I am also a dog lover. I did not try to eat it. Though I met these two lady travelers who ordered one while we were attending the Sagada fiesta. With the beer on the side, I think they had like two spoonful while burying it on rice and chili sauce. Mentally, a cute puppy's face must have popped out while chewing it. After that, they gave it to Kuya Sotero, our local guide. He had to eat two orders of dog meat as he ordered one himself. Looking at his face while eating was like me eating my favorite pork adobo. 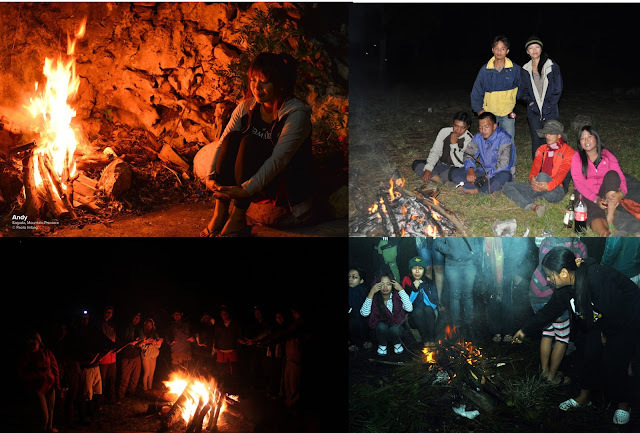 One of the most visited time of the year in Sagada is every end of the year where Sagada Grand Bonfire Fest is celebrated. I have never been into one for the reason I just don't want to be with the rest of the people in Manila or those from other places. One of the many reasons I fell in love with the place was that my experiences with bonfires were more intimate with a small group . . . with people I know where we share different stories of our lives or even other people's lives. 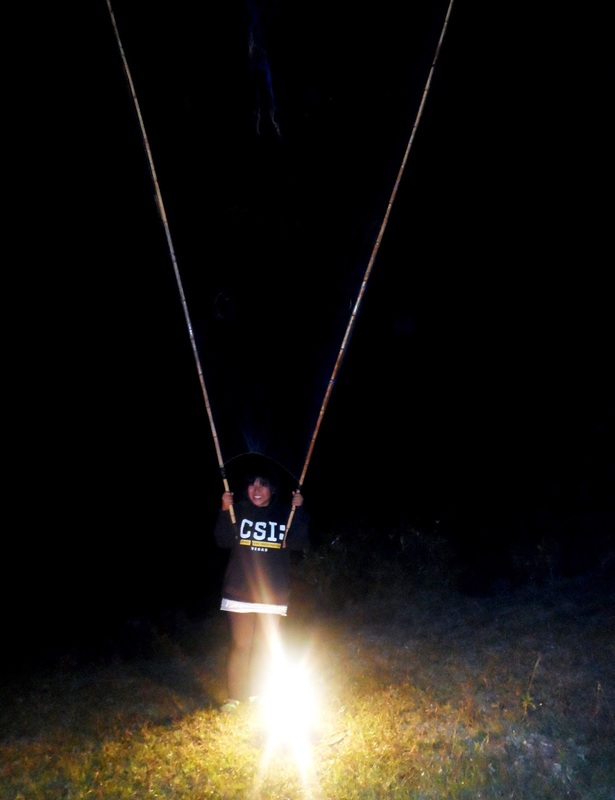 I have done this in Kiltepan, Marlboro, Mt. Ampacao, near Sumaging cave and right outside our lodge.